Our clients always needed basic Stormwater services—whether hydro-jetting a line, or cleaning a catch basin—and we would provide them. But within the last decade Stormwater regulation has become significantly more stringent. Our clients now needed a full service Stormwater company to meet their operational needs. In an effort to better serve our clients, Ocean Blue invested & grew our Stormwater division. Now when clients need 33,000 feet of storm drain hydro-jetted, or 1,000 catch basins inspected & cleaned, or they need their 32 Hydrodynamic separators serviced regularly, Ocean Blue can provide these services at the same high level of professionalism you expect. Not only do we now provide Stormwater services to our current clientele, we also have gained & held new municipal contracts specifically for Stormwater Management. Our in-house fabricated pressure-washer vacuum truck. This combines the best of both into a single unit. Ocean Blue currently holds multiple contracts to clean thousands of catch basins throughout Southern California. From inspection, cleaning, filter maintenance, stenciling, traffic control to closing reports; Ocean Blue can service any municipal basin-cleaning needs. Ocean Blue is Flexstorm's exclusive Connector Pipe Screen installer in southern California. Flexstorm is the stormwater subsidiary to Advanced Drainage Systems, (ADS: ticker symbol WMS). ADS have been making pipe applications for the last 50 years. 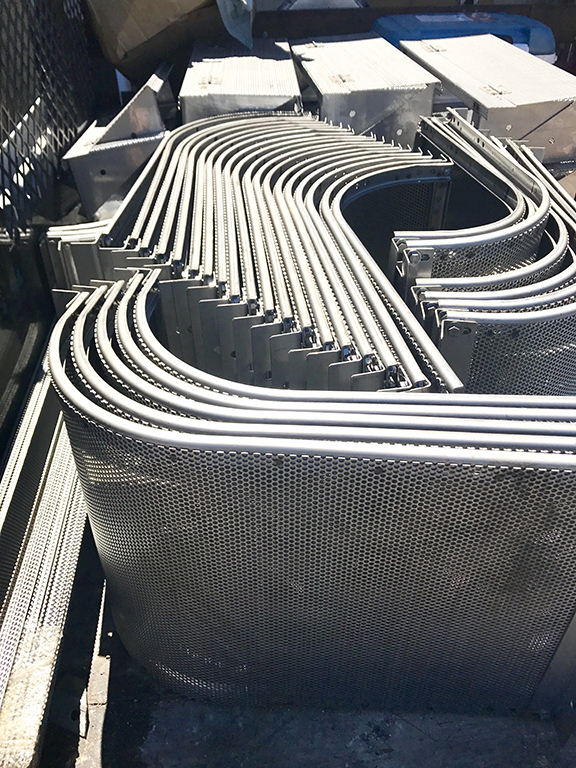 We are proud to offer a superior Connector Pipe Screen at a competitive cost. Trip Pre-planning to install 150 Connector pipe screen units. Please click here to download specifications for our CPS model. Post-cleaning of LAX's multiple vault system; totaling over 4,000 individual storm water filters. 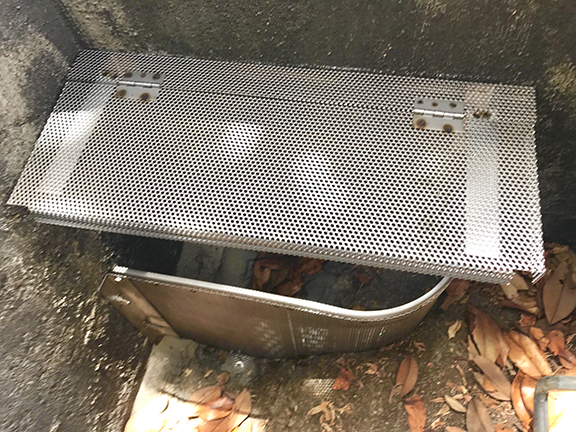 Installation of a stormwater treatment system to comply with the City's Stormwater pollution prevention plan (SWPPP), the National Pollutant Discharge Elimination System (NPDES) and the MS4 Stormwater discharge permit.